Although Croatia has a rich history, people sometimes struggle to identify items that are typically Croatian. 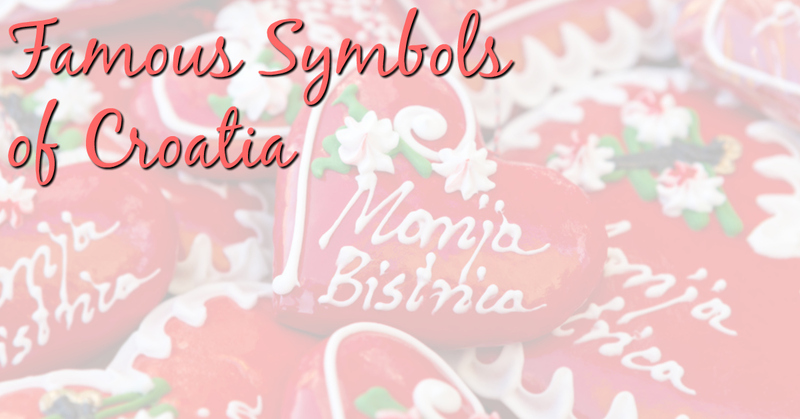 Here we will present a few of what we think are the most famous symbols of Croatia – in a somewhat light-hearted way – to give you a brief idea! National costumes of Croatia vary from region to region, although the majority of costumes feature long, colourfully embroidered dresses that are principally red or white in colour (for women) and white shirts, embroidered waistcoats or jackets, and trousers (for men). Both men and women wear long socks and slipper-type footwear, or boots from the northern (colder!) parts of Croatia. Women generally plait their hair quite intricately and wear kerchiefs as well. A famous symbol of Croatia, especially so from Zagreb (which actually incorporates them into the tourist logo of the city – see the Zagreb tourist office website) and northern Croatia, these are heart-shaped biscuits are made from gingerbread or honey dough, painted red and decorated with colourful icing, little mirrors and often a little message. Traditionally, they would be given as gifts to a loved one, although nowadays they are a popular souvenir (but don’t try and eat the souvenir ones!) that come in a range of sizes. 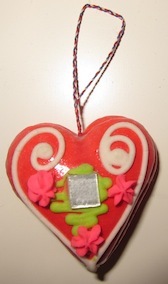 The licitarsko srce are similar to the lebkuchen hearts that you find in Germany and Austria, although the red colouring and decoration of the Croatian ones means they are distinct. Read more about them on the Licitar website and online shop. This kind of gingerbread making is actually on the UNESCO World Intangible Cultural Heritage list – read more about this here: Gingerbread craft from Northern Croatia. The small town of Koprivnica, in northeastern Croatia near the country’s border with Hungary, exhibits a collection of two metre tall Easter eggs in the run up to Easter. These Easter eggs are hand-painted each year by local artists in the naive art style that is popular in the area. Most years, these eggs ‘travel’ and are put on display elsewhere in Croatia and have even been exhibited abroad. In many ways, the cravat is one of the most famous symbols of Croatia – hey, it even sounds really Croatian…right? A cravat is, of course, a type of necktie mostly worn by men. The cravat originated in the 1630s in France where Croatian mercenaries were based at the time, there to help support King Louis XIII. These Croatian soldiers wore these unusual neckties which caught the attention of the fashionable Paris set – and the cravat was born. The word “cravat” comes from the Croatian for Croatia – which is “Hrvat”. This sword dance takes place on the island of Korcula and tells the tale of a battle between two kings (a white king – dressed in red – and a black king) over a princess. The dance came to Korcula in the 16th century, and is thought to originate in 12th century Spain as a protest against the Moors. The dance was once performed in various countries in the Mediterranean, but is now only done so on Korcula. Maraschino is an alcoholic liqueur flavoured with Marasca cherries which are grown in Dalmatia, mainly in the Zadar region. The liqueur originated in the 16th century in the Dominican monastery in Zadar, and came to be known as maraschino in the 18th century. In the 19th century, it became something of a fashionable drink amongst European nobility. The sweet liqueur can be drunk on its own as an after-dinner drink, or used in a number of cocktails. The alcoholic strength of maraschino is typically around 32% abv. Maraska is one of the most famous producers of Maraschino in Croatia. Apart from maraschino liqueur, as mentioned above, a number of other fruit liqueurs (‘rakija’ is the name given to ‘fruit liqueur’) are common in Croatian. Sljivovica is perhaps the most well known – plum brandy – as it is fairly common in other Eastern European countries too. Other fruit liqueurs include kruskovaca, made from pears; lozovaca/lozica, made from grapes; and travarica, a brandy made from herbs that is popular in Dalmatia. Although all of these liqueurs are mass produced, it is not uncommon for Croats to distill these drinks themselves at home – perhaps one reason that these liqueurs can be very, very strong! If you’re staying in private accommodation or if you frequent a small, local restaurant and the host offers you some rakija, by all means accept (your hosts will most likely insist!) and enjoy…but don’t say we didn’t warn you about how strong the drink will be! 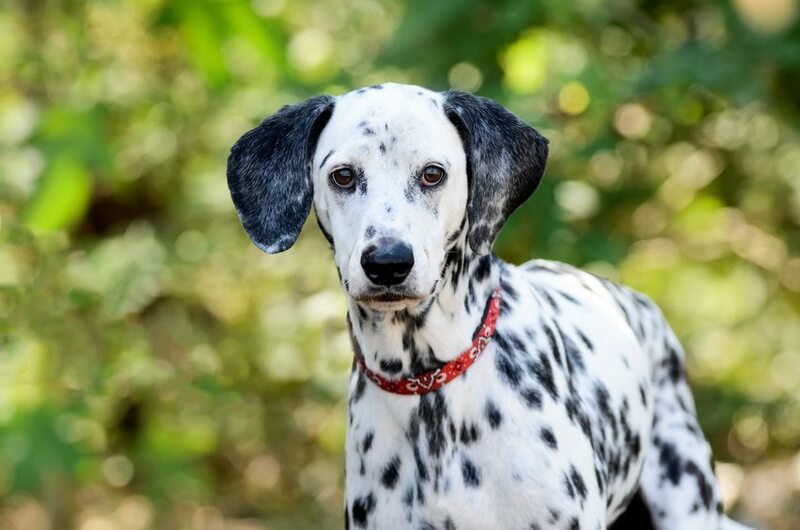 You may have often wondered about the connection between the Dalmatian breed of dog and the region of Dalmatia in Croatia – and whether there is in fact any connection at all! Although there is some dispute about the actual origin of these dogs, the general consensus is that these friendly and beautiful animals do in fact originate from Croatia, as far as records show. The old joke roughly goes along the lines that you know you’re Croatian if “all meals your parents have ever prepared contain one key ingredient – vegeta”. Produced by Koprivnica-based food company Podravka, Vegeta is a seasoning made from a mixture of spices and vegetables – and hence can be added to many, many dishes to add a bit of unique flavour. See the special Vegeta website for a range of recipes you can make using vegeta. If you’re in the UK, these days you can often find Vegeta sold in the Polish section of supermarkets. Paski sir is a famous cheese from the island of Pag that is made from sheep’s milk, giving it a distinctive flavour. It is probably one of the most well known cheeses – nay, any foodstuff – that comes from Croatia. These days, it can also be found outside of the country (trying enquiring at your local “posh cheese shop”). The annual World Cheese Awards have also previously recognised the quality of paski sir – in 2011, Pag cheese makers Sirana Gligora won gold and silver medals for their Paski sir, as well a super gold medal for their Zigljen cheese, a hard cheese made from a mix of cow, sheep and goat milk. Another producer from the island, Paska sirana, also won four silver medals for their cheeses at the same awards.